The precipitation will be all rain for our area for the remainder of the day and is not expected to end until Tuesday night. 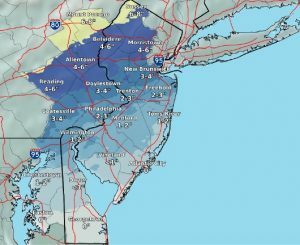 Tonight through Tuesday morning, freezing rain amounts of .05-.10 inch could be possible, with less than 1/4 inch of snow. If any ice accumulations occur, they could cause some minor tree damage and scattered power outages, along with hazardous travel conditions.